A new permanent campaign “Hit hard! Hit Fast! Hit often!” will be added to the game. The campaign tells about the military career of Admiral William Halsey Jr. The new campaign will be composed of five main stages, with eight to ten tasks to be completed. Players will be able to use Tier VIII, IX and X ships to complete all forty-nine tasks and receive the Legendary Captain William Halsey with 15 skill points as the final reward. The following information is from Supertest and it’s subject to change before final release. All mission details were provided by SEA.Group.org.
? [All modes] Play Tier VIII – X ship and earn 50,000 XP.
? [All modes] Play Tier VIII – X ship and earn 2,500,000 Credits.
? [Random] Play Tier VIII – X ship, kill one destroyer and win the game.
? [Random] Play Tier VIII – X ship and be the Top XP earner twice. ?? [Random] Play Tier VIII – X cruiser or carrier and be in the Top 3 by XP 18 times. ?? [Random] Play Tier VIII – X cruiser or carrier, cause 150,000 damage and win the game. ??? [Random] Play Tier IX – X U.S. cruiser or carrier and be the Top XP earner 6 times. ????????? [All modes] Play Tier VIII – X ship and earn 20,000 XP (after modification).
? [All modes] Play Tier VIII – X ship and earn 60,000 XP.
? [All modes] Play Tier VIII – X ship and earn 3,000,000 Credits.
? [Random] Play Tier VIII – X ship, capture area and/or assist in capture 20 times.
? 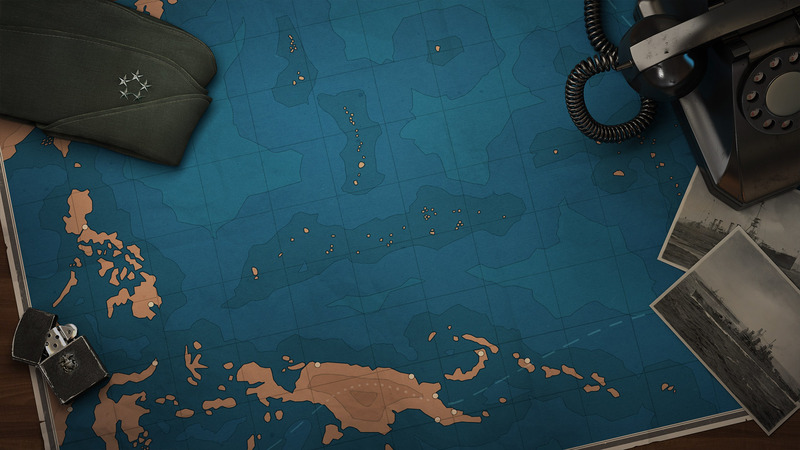 [Random] Play Tier VIII – X ship, cause one fire or flooding, win this game and be in the Top 3 by XP.
? [Random] Play Tier VIII – X ship, cause 12,000 fire and/or flooding damage, win the game and be in the Top 7 by XP. ?? [Random] Play Tier VIII – X destroyer or carrier, cause fire and/or flooding 120 times. ?? [Random] Play Tier VIII – X destroyer or carrier, earn 50,000 spotting damage, win the game and be in the Top 3 by XP. ??? [Random] Play Tier IX – X U.S. destroyer or carrier, cause 12 fire and/or flooding in one game, win this game and be the Top XP earner. ????? [All modes] Play Tier VIII – X ship and earn 25,000 XP (after modification).
? [All modes] Play Tier VIII – X ship and earn 75,000 XP.
? [All modes] Play Tier VIII – X ship and earn 4,000,000 Credits.
? [Random] Play Tier VIII – X U.S. ship, score citadel hit 50 times.
? [Random] Play Tier VIII – X cruiser, earn 1,250,000 potential damage and win the game.
? [Random] Play Tier VIII – X cruiser or battleship, earn Devastating Strike achievement, win the game and be in the Top 5 by XP. ?? [Random] Play Tier VIII – X cruiser or battleship, earn any heroic achievement, win this game and be the Top 3 by XP. ?? [Random] Play Tier VIII – X cruiser or battleship, shoot down 12 planes, win the game and be in the Top 3 by XP. ??? [Random] Play Tier IX – X U.S. cruiser or battleship, earn Dreadnought, Fireproof, and/or Unsinkable achievement 6 times. ??? [Random] Play Tier IX – X U.S. cruiser or battleship, earn High Caliber and/or Confederation achievement 6 times. ?????? [All modes] Play Tier VIII – X ship and earn 20,000 XP (after modification).
? [All modes] Play Tier VIII – X ship and earn 85,000 XP.
? [All modes] Play Tier VIII – X ship and earn 4,500,000 Credits.
? [Random] Play Tier VIII – X U.S. ship, kill a Japanese ship, win the game and be in the Top 5 XP earner.
? [Random] Play Tier VIII – X U.S. ship, kill a German ship, win the game and be in the Top 5 XP earner.
? [Random] Play Tier VIII – X cruiser and deal 1,000,000 damage to Japanese and German ships. ?? [Random] Play Tier VIII – X cruiser, earn 2 battle achievements in one game, win the game and be in the Top 3 XP earner. ?? [Random] Play Tier IX – X U.S. ship, incapacitate or destroy 12 modules in one game, win the game and be in the Top 3 XP earner.
? [All modes] Play Tier VIII – X ship and earn 100,000 XP.
? [All modes] Play Tier VIII – X ship and earn 5,000,000 Credits.
? [Random/Co-op] Play Tier VIII – X carrier and score 100 torpedo hits.
? [Random/Co-op] Play Tier VIII – X carrier and shoot down 250 planes.
? [Random] Play Tier VIII – X U.S. ship, earn 3 battle achievements in one game, win the game and bein the Top 3 XP earner. ?? [All modes] Play Tier IX – X U.S. cruiser or carrier and earn 2,000 ribbons. ?? [Random] Play Tier IX – X U.S. ship and earn 36 battle achievements. ??? [Random] Play Tier IX – X U.S. ship and earn 12 heroic achievements. ??? [Random/Co-op] Play Midway and earn 10,000,000 Credits. ??? [Random] Play Des Moines or Worcester and earn 10,000,000 Credits. ????? [All modes] Play Tier VIII – X ship and earn 50,000 XP (after modification). After receiving the Double Strike achievement, the ship under Halsey’s command gets -10% to base detection radius, which can accumulate if a player receives the achievement multiple times during a battle. The ship that William Halsey is assigned to will have a unique pennant and colored tracers for the main battery shells. Upon receiving achievements that activate the talents, fireworks will be launched from the ship. Well that’s another one I wont participate in since the tiers are not on my current bucket list. Some of the tasks are can be done in co-op from the looks of it. Better than playing a high tier ship in random.